I love it when an old pre-Internet media product thrives in the 21st century. I'm talking about you Inc. magazine - founded in 1979. Anyway, I came across an interesting Inc. article: "12 Websites That Will Make You Smarter". Lingvist - Learn a language in 200 hours. Right now they only have French and English. Bummer - since I already know both. But many more are coming. Sign up to be on a waiting list. Highbrow - Get bite-size daily courses to your inbox. Love this one! Most courses consist of ten 5 minute sessions. Sample mini classes on topics ranging from "Ultimate Guide to Running" to "Architects Who Changed the World," from "The Most Influential Speeches in History" to "Most Ambitious Science Projects." There are 65 of them. Memrise - Use flashcards to learn just about anything. Science, history, geography and more. Chesscademy - Learn how to play chess for free. Yousician - Your personal guitar tutor for the digital age. Remember the drudgery of learning those chords as a teenager? This will blow your mind. As change occurs ever more rapidly, it is interesting to take note of the survivors. Founded in 1998, (that's a million years ago on the Internet,) it is a peer-to-peer e-commerce website focused on handmade or vintage items and supplies, as well as unique factory-manufactured items. I dimly remember examining the site soon after it became popular and never buying anything. But I made a return visit recently, spurred on by a desperate quest to locate steel furniture to match my antique metal autopsy table. My, Etsy, how you've grown. 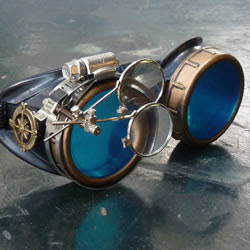 Steampunk Victorian aviator goggles? Check. Upcycled Clothing and Accessories from Lithuania? Check. Hand forged rings made from Morgan dollars? Check. I didn't find the steel chairs of my dreams, but came across this super cool (and well priced) raw industrial nightstand made in Los Angeles. Do you remember what TV was like in the 60s? The picture was snowy, channels faded in and out. 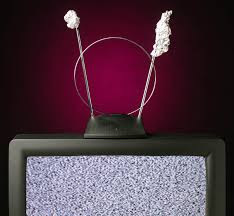 Our parents would attempt to fix this by wrapping tin foil around the antennas and moving them around. It was terrible. The problem of terrible reception continued until the widespread adoption of cable - but that didn't happen until 2000. That's a lot of years of crappy TV. I have not purchased a new TV in a decade. And I decided to get a new one. And as long as I was doing that, I went for the latest and greatest, an LG OLED 4K. Here's the thing - most channels don't even broadcast in 4K (super high definition) yet. But Netflix does. The first time I turned on the TV, I clicked a Netflix movie called Waterfalls. It's pretty much a video of waterfalls in different breathtaking locations, accompanied by new age music. Full disclosure - tears came to my eyes. The picture quality was just that amazing. A quantum leap in the television experience. I have always been a sci-fi buff, and an ardent Trekkie. If you had told me in 1969, as I watched Star Trek on my crummy TV, that during my lifetime I would enjoy that level of visual experience, on a television the width of a pencil, I wouldn't have believed you. In August of 2008, I started this weekly blog. And I have kept that promise, 400 times. I have never missed a post in almost 8 years. I hope that in addition to sharing my knowledge, I have also, occasionally, surprised and delighted you. If you have enjoyed my efforts, can you take a minute to do two things for me? First post a comment and tell me about your iWebU experience. 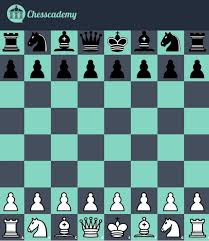 Do you have a favorite post? What would you like me to write about in the future? A sentence or two will do. Second, tell one of your friends or colleagues to subscribe to my blog. 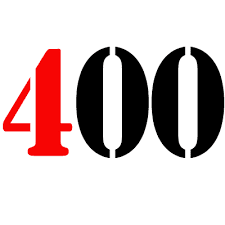 If you feel that telling 400 friends and colleagues about my blog is a fitting way to celebrate my 400th post, you can do that too.